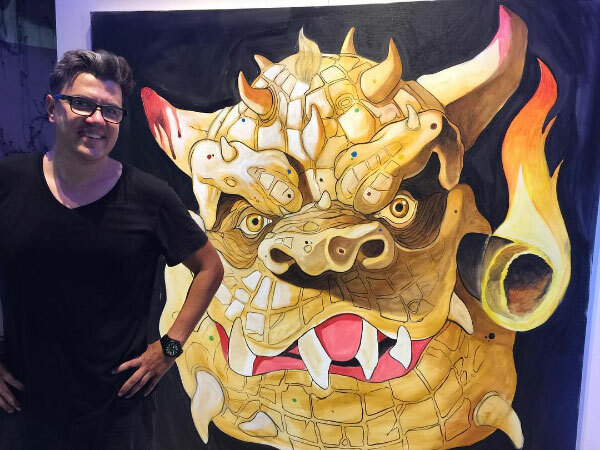 In May, French artist Kosta Kulundzic was at ARTafterDARK where in less than three hours he created a life-size dragon—one of the signature characters in his painting series that juxtaposes Christian iconography and mythologies with contemporary life. And in a colonnade hung two large-scale Technicolor paintings with a ready-to-fight Manny Pacquiao. It was the selfie-backdrop of the night. 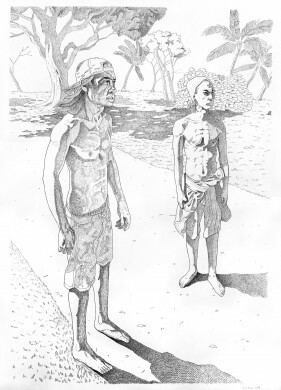 Now artists can learn from the accomplished draftsman and painter—he will teach Oil Painting and Introduction to Contemporary Drawing at the Honolulu Museum of Art School this fall. 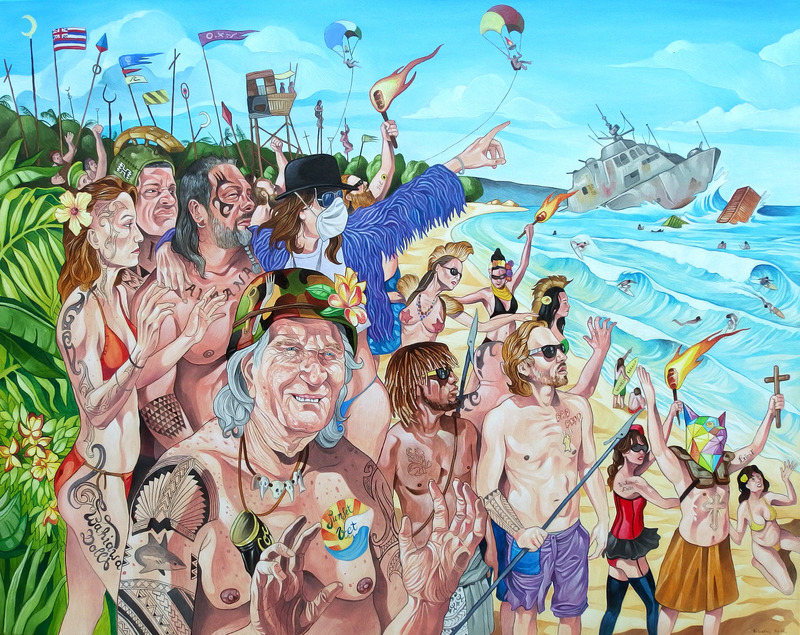 The change of scenery has also had a positive impact on Kosta’s work. “When I arrived here, everything became more bright,” he says. “The colors—everything popped up from the canvas.” A self-described “pure Parisian,” Kosta prefers concrete to nature, but since moving to Hawai‘i, his contemporary portrayals of martyrs and monsters now find themselves on sun-soaked beaches or surrounded by lush greenery. Catch Kosta in action at his next live drawing exhibition at the University of Hawai‘i– Mānoa’s Commons Gallery, November 5–22. Learn more about our fall drawing and painting courses here. Fall registration begins Aug. 1 (members at Contributing level and above get to register a day early, on July 31).